Yes, I am old enough to remember singing along to that one hit wonder. But in this case, I’m referring to the launch of the new Thomas Caine thriller, Fire and Forget. We’re just a few short days away from the official release, and I can’t wait for you all to read Mr. Caine’s latest adventure. You can check out these and other reviews at Fire and Forget’s Goodreads page, HERE. If you’re a Goodreads member, could I ask you to add Fire and Forget to your want-to-read shelf? It really helps spread the word about the new book. I’s also like to give a big shout out to my UK readers. Amazon made Tokyo Black, the first Thomas Caine novel, a deal of the day in the UK store, and readers there snapped it up! You all pushed Tokyo Black into the top 100 of the whole Amazon UK store! Not only that, you drove the book into the #2 spot in the Espionage category, which is quite the competitive group. Getting to see my book standing alongside greats like David Baldacci, Rob Sinclair, and Ken Follet is mind blowing, and I can’t thank you all enough. Well, the wait is over! 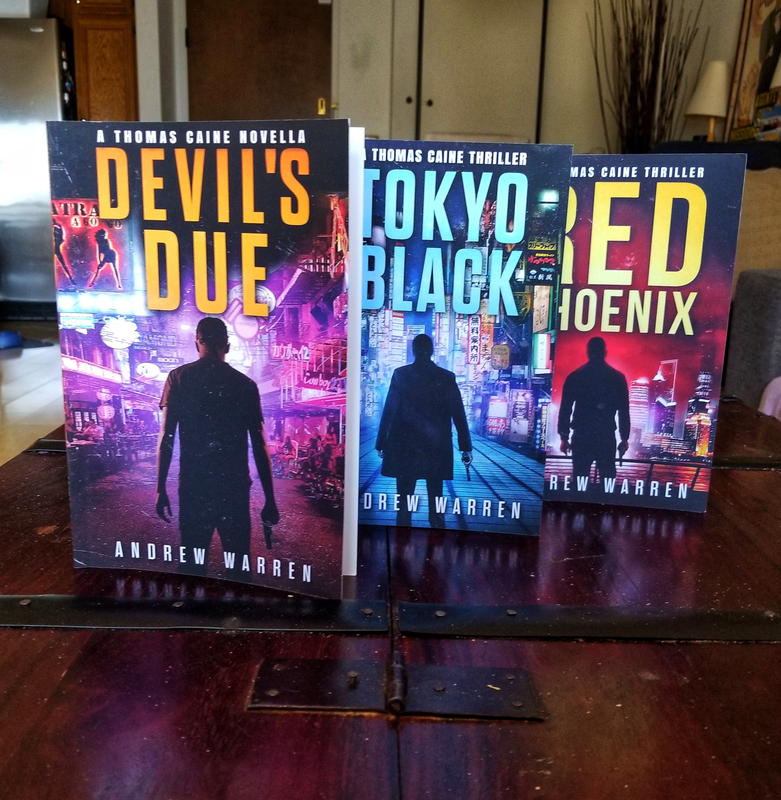 All three Caine thrillers are now available from Amazon in beautiful 6×9 trade paperbacks. That’s all for now… please join me on Tuesday Nov 28th, for the official release of Fire and Forget. Until then, I hope you all have a happy and safe holiday season!